While there may not be consensus on what they are, there is a shared belief that U.S. copyright law has some serious problems. But the CASE Act, which aims to treat copyright claims like traffic tickets, is not the answer. On Thursday, August 27, the House Judiciary Committee held a hearing on the CASE Act (H.R. 3945). 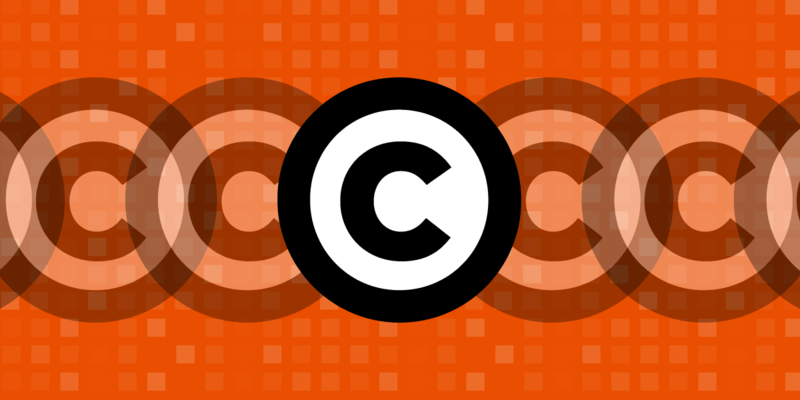 The CASE Act would create a “small claims” system for copyright, but not within the courts. Instead, cases would be heard by “Claims Officers” at the Copyright Office in Washington, D.C. And the Copyright Office has a history of presuming the interests of copyright holders are more valid than other legal rights and policy concerns, including the free expression values protected by fair use. Basically every concern we had about the CASE Act last year remains: Turning over quasi-judicial power, which would include issuing damages awards of up to $15,000 per work infringed or $30,000 per proceeding, and agreements which boil down to binding injunctions, to a body with this history is unwise. In addition to the problem of turning the Copyright Office into a quasi-court with jurisdiction over everyone in the U.S., CASE would invite gamesmanship and abuse, magnify the existing problem of copyright’s unpredictable civil penalties, and would put this new group in charge of punishing DMCA abuse, while also limiting the effectiveness of the DMCA’s deterrence factor. Photographers have a legitimate concern about their work being taken and used whole without proper payment. But copyright claims should not be bulk-processed like traffic tickets—especially not when statutory damages under the CASE Act are so much higher than in traffic court, requiring no proof of actual harm. And especially not when the case won’t be heard by an actual judge, one whose job description doesn’t place copyright at the center of the legal universe. During the hearing, proponents of the bill constantly pointed to the bill’s “opt-out” mechanism as the be-all, end-all answer to this problem. That argument very much misses the point. Proposed changes to CASE would add a second notice to be served to someone being accused of infringement under the new regime. That means the first notice to opt-out would look like spam and the second would like a legal summons, which people don’t traditionally have the option of opting out of. The average person, faced with being served in the same way they would be for a real lawsuit, is not going to understand that they can opt out of this system. When people have enough trouble understanding how to challenge false DMCA notices, how are they going to know how to respond to a confusing summons from Washington, D.C.? Making it easier to collect damages on copyright claims invites abuse. It invites filing as many copyright claims as one can against whomever is least likely to opt out and most likely to be able to pay. And any proposal to limit the number of claims filed by someone doesn’t fix this problem or truly help the people whose work keeps getting taken and infringed upon. One of the proposed changes is to put a cap on the number of claims that can be made—trolls can have hundreds of “clients” or many corporate identities. The ornaments that have been proposed as “fixes” for this bill only reveal the scale of the trolling problem the bill would cause, and highlight the flaws at its very core. Other cosmetic changes to the bill, including increasing penalties for “bad faith” actions, don’t change the fundamentally rotten core of the bill. All judicial process depends on, and assumes, that parties will act in good faith, but mere requirements to play nicely have never stood in the way of those (like copyright trolls) who are determined to game the system. At the very least, a truly neutral magistrate with no organizational commitment to one side of the dispute is needed to give effect to a rule against “bad faith” claims. Both some members of the House Judiciary Committee and entertainment industry witnesses during the hearing seem convinced that copyright trolls and the average small user who does not understand this process are “hypothetical.” Neither of these things is hypothetical. Lawsuits against individual Internet users alleging copyright infringement over BitTorrent networks—one of the most prolific types of copyright trolling—are just under half of all copyright lawsuits in the U.S. The plaintiffs in these cases pursue landlords and nursing home operators, elderly people with little or no knowledge of the Internet, and deployed military personnel. As is often the case in situations like these, the people hurt will not be major companies, but small businesses and individuals. Throughout the hearing we also heard, consistently, that there had been a lot of negotiation on CASE, that the “discussion draft” represented a lot of concessions from the content side to the Internet side. The fact that the discussion draft is “better” does not mean it is “good.” Getting large Internet companies to agree to the bill—companies who can identify trolls and know to opt-out—does not mean a bill that protects the average Internet user from abusive litigation. There is a fundamental problem with making it so easy to file these kinds of complaints in a quasi-judicial system with no space for robust appeal. Copyright law fundamentally impacts freedom of expression. It can’t be treated with less care than a traffic ticket.